The result of all my begging to be read to whenever possible was that I could read myself at the age of four. My grandmother heard me reading at the table one day and thought I was merely reciting the story to myself from memory until she realized that the Little Golden Book I had in front of me was brand new and had never been read to me before. 🙂 Once I could do so on my own, the addiction only got worse. I was the kid who hoarded lunch money for weeks before the book fair came to school, whose yearly bookworm always ran around the classroom at least twice, and who was often sent back to the reading corner in class just to shut me up. Are You My Mother?—This one has stayed with my family for years. My kid cousin, who is seventeen years my junior, even read and loved this one. In this book, a baby bird hatches while his mother is out looking for food and goes on the hunt for her. He asks a dog, a kitten, and an assortment of other animals and inanimate objects if they are his mother, each of which says, “No!” Thankfully, the “Big Snort” (a power shovel) drops him back into his nest the moment his mother gets back home to the nest—crisis averted. 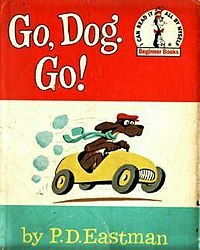 Go, Dog, Go!—This one is about a bunch of dogs who can somehow drive cars, wear clothing, and talk to each other. The end goal of the book is for all the dogs to go to a “Dog Party.” From this book, I learned both prepositions and basic social skills (such as complimenting someone’s hat even if it’s ugly.) My family still uses the “Do you like my hat?….I do not like your hat!” line. The good stuff is always timeless, I guess. Where the Wild Things Are–I can’t think of anyone I grew up with who didn’t adore this book. Max rebels and is sent to his room for punishment where he imagines sailing away to a land inhabited by monsters that quickly realize he is the wildest of them all and crown him their king. His first royal decree is to, “Let the wild rumpus start!”–a line I have used several times. However, when he smells dinner, Max sails home where he belongs, knowing that a few rules are worth a place where’s he’s loved. Are You There, God? It’s Me, Margaret.–This was one of those “tweener books” that everyone should have to read, especially since it’s been banned more than once. Margaret runs the gamut of horrid things that can happen to a child who’s just entered the double-digit age bracket for the first time–questions of faith, moving, new school (in New Jersey no less! ), boys, periods, bras. It’s all here. I remember liking this book when I was in fourth or fifth grade because I felt like it was giving me the straight skinny on middle school and what I was in for. It didn’t help as much as I’d planned, but at least I had a road map of sorts. The Lion, the Witch, and the Wardrobe–Gracious glorious mercy jellybean gumdrops, did I love this book when I was a kid!!! (I loved the entire series to tell the truth, but this is the most easily recognizable one, so I’ll use it for the sake of clarity on this list.) I used to read C.S. Lewis’ books beneath my desk during math, science, and history. I simply couldn’t bear to stop reading and got in trouble more than once for my unwillingness to do exactly what my teacher told me. But how can you blame me when the choice is between long division and Prince Caspian!? Seriously, long division. Solve your own problems. The Hobbit–I think this one might have been one of the few books I literally read the cover off of as a kid. I simply couldn’t get enough of Bilbo and his retinue of dwarfs. The stone trolls, the Mirkwood elves, Smaug, Gandalf–these were my friends late at night when I couldn’t sleep. There was just something so entrancing about it. Bilbo was minding his own business in Bag End when the story starts; it just walks in and carries him along with it. In a way, you feel like Bilbo because you are also brought along for the ride. It’s good to see this one is also being made into a two part movie by Peter Jackson who I trust will do this gem of a book justice on the silver screen. The Gunslinger–“The man in black fled across the desert, and the gunslinger followed.” For me, it’s up there with the great first lines in literary history. I’m putting this one on here because I’ve read it ten or eleven times but also because it marked my entrance into “adult fiction.” I couldn’t believe my mom would let me read a Stephen King book when I was so young, but she did for some reason. I started stealing hers from that moment on. I fell head over heels for Roland Deschain and got to spend most of my adult life reading about his long journey to find the Man in Black and the elusive Dark Tower. (I’d like to say it was my generation’s Harry Potter, but not nearly as many kids dress up like Roland or Cuthbert for Halloween.) I think books one through four came out when I was a kid, book five when I was an undergraduate, and five through seven when I was in graduate school. As an English major, I’ve been taught to disembowel texts, to pick them over like a buffalo carcass on the prairie to glean every possible meaning and interpretation from them, and my growing skill with literary analysis was richly rewarded with these books. They are the thread that holds his entire literary universe together, crossing over at times into It and Salem’s Lot, and King himself (in one of the greatest postmodern literary achievements of all time) not only allows his characters to realize they are in fact characters, but also inserts himself as the author into the work! Perfectly cyclical, rich in design and detail, this has to be one of my favorite series of all time—right up there with Tolkien and Lewis. Great list. I read a lot of these as a kid too like Go Dog Go, The Hobbit and The Lion, The Witch and The Wardrobe. All wonderful. The Outsiders and Are You There God? were big favorites too. And The Outsiders movie is awesome. I want to see it again to see if it holds up. Fun memories! I was looking forward to writing this one and also dreading it. How do you choose the books that made you fall in love with reading!? There are all sorts of reasons we read, memories we make doing it, and experiences we gain from it. How can I explain all that in a ten item list? Inconceivable! Thanks for coming by for a read! The Hobbit was the first book I checked out of the public library when my dad finally let me get my own card. I was in the sixth grade. And so began my love of fantasy. My kid cousin, who’s 16 now, is not a voracious reader like I am. However, he loves the movies and has expressed an interest in reading the books. Guess what cousin Jamie got him for Christmas!? I can’t wait until he starts talking about these books with me. Oh my goodness, those first four books are some of my daughter’s favorites right now! I loved all of them as a child, too, except for The Tawny Scrawny Lion, which I don’t remember reading (it is one of my husband’s very favorites, and he reads it to Zoe whenever possible). 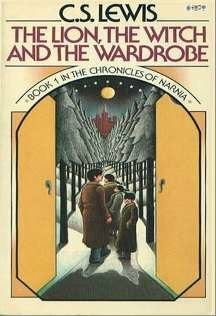 I also wanted to include the Narnia books, but I didn’t actually read them until I was in college, so it seemed like cheating! My favorite, for sure, is The Voyage of the Dawn Treader. So, yeah: Prince Caspian beats long division any day. They’re high quality, that’s for sure! 🙂 Dr. Seuss published some other great authors under his label, and they make for great reading. Keep her reading at all costs because it’ll make a huge difference in the future!